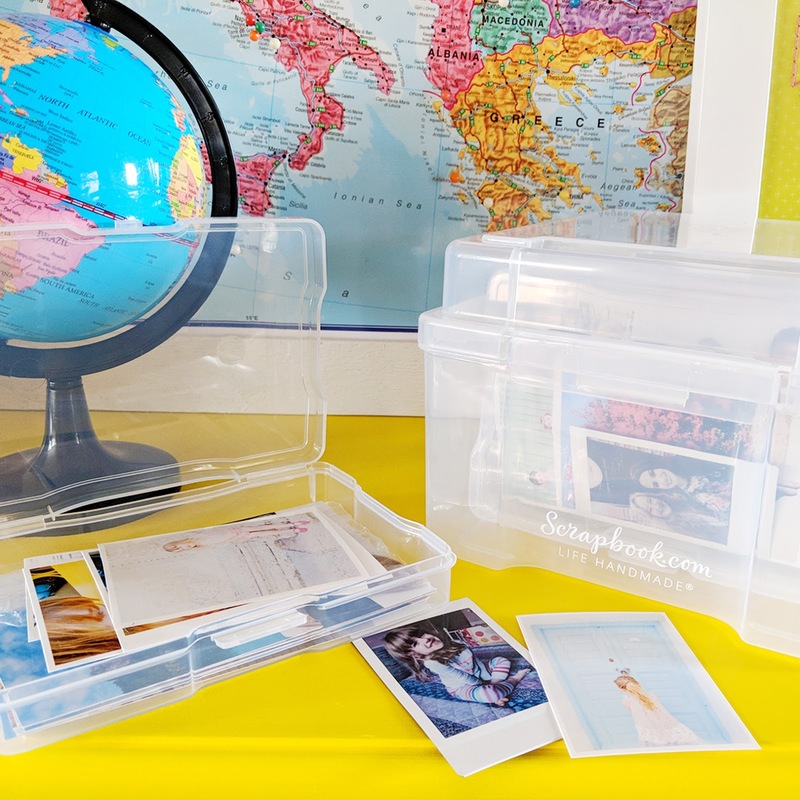 Scrapbook.com sent me a few of their exclusive storage and organization boxes to try out and I'm excited to share how I've used them with you today! For me organizing is a key element when it comes to scrapping - if I feel like everything is a mess, I am a wreck and can't work in chaos. But when everything has a place and there is a place for everything, I feel like I can create more easily and quickly. Who's with me?! I must admit, while I love being organized, I don't use the fanciest things for storage lol. For example, all of the scrapbooking collections I use are in ziplock bags! Super cute right? 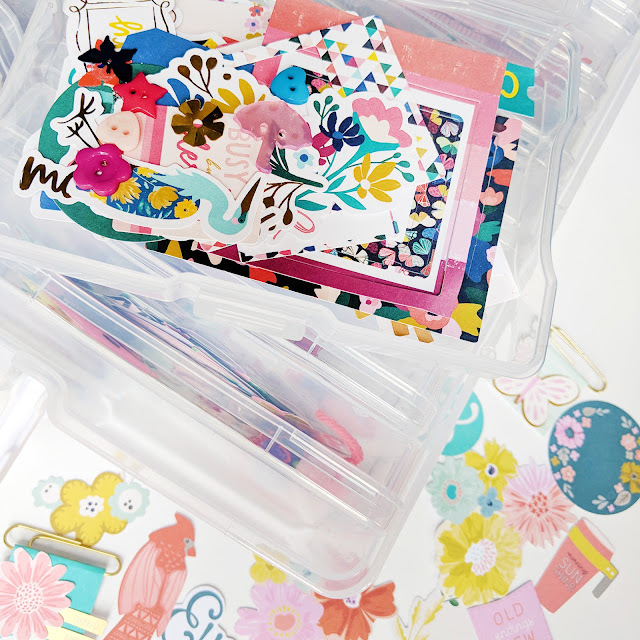 :) Clear Craft Storage Boxes 4x6 -17 Piece Set! to the rescue! The possibilities for what this can store are endless. 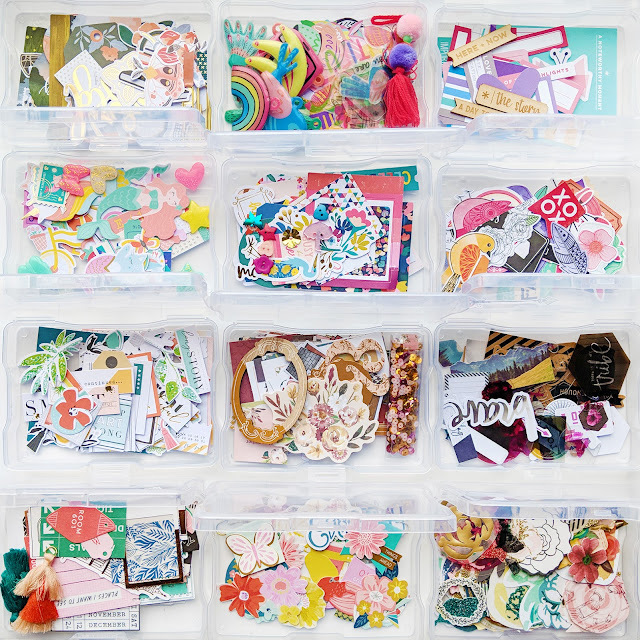 What I decided to do with it is store all of my ephemera die cuts and small embellishments from scrapbooking collections - 1 collection per box and there are 16 boxes that fit inside the one larger box. Now I can just grab-and-go! Heading to a weekend crop? This is a perfect way to get organized and bring only the essentials. 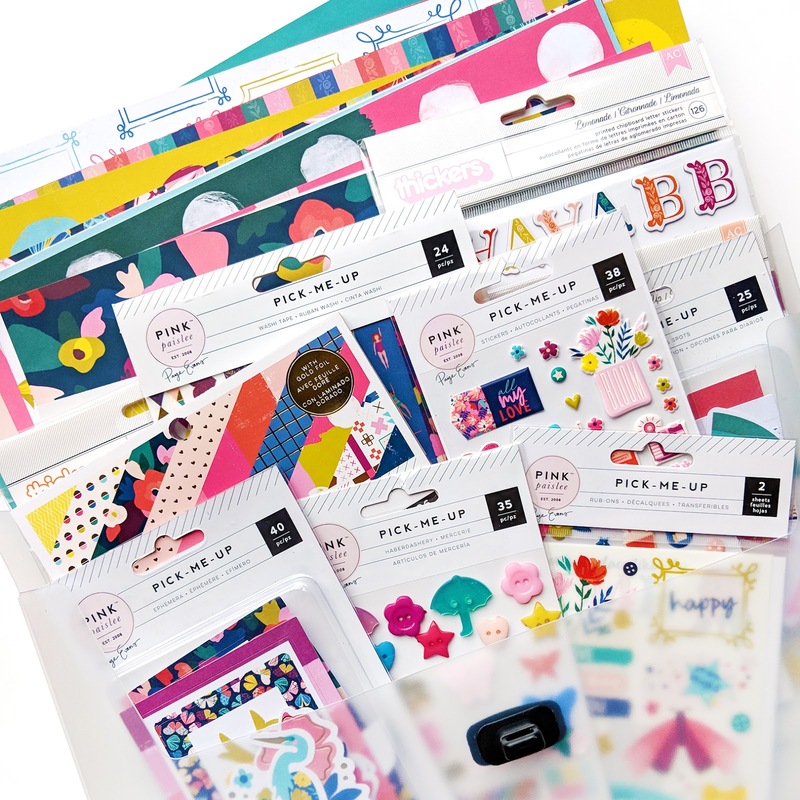 Another idea would be to store different kinds of embellishments by category like washi tape, small stickers, flair badges, buttons, sequins, ribbons, paper clips, frames, flowers, tassels, etc. 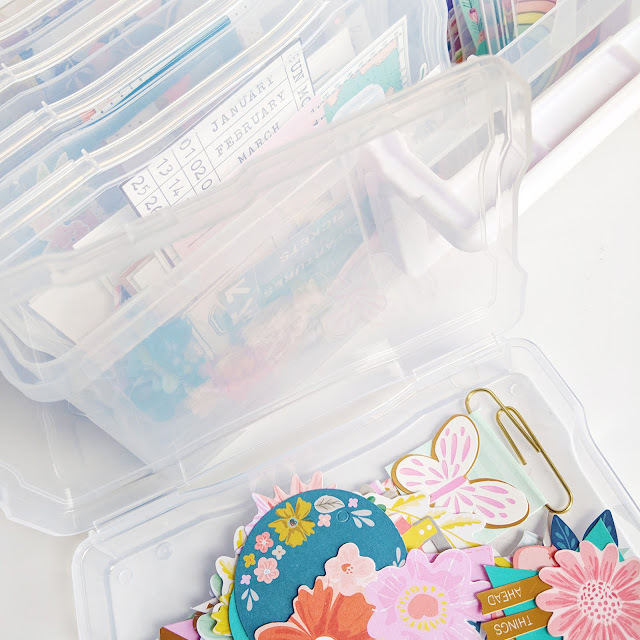 Take it one step further and organize everything by color - that is my favorite way to store things: then when I am looking for the perfect finishing embellishment, say, a yellow button, I can just pull out the yellow box and find exactly what I need in no time at all. It's easy to store, easy to carry, easy to access, and is a clean and simple design. Next up is the Clear Craft Storage Boxes 4x6 - 7 Piece Set. This box is exactly like the one above only it has 7 boxes inside instead of 16. My photos have been in a flimsy box with handmade cardstock dividers for ages. Not anymore! 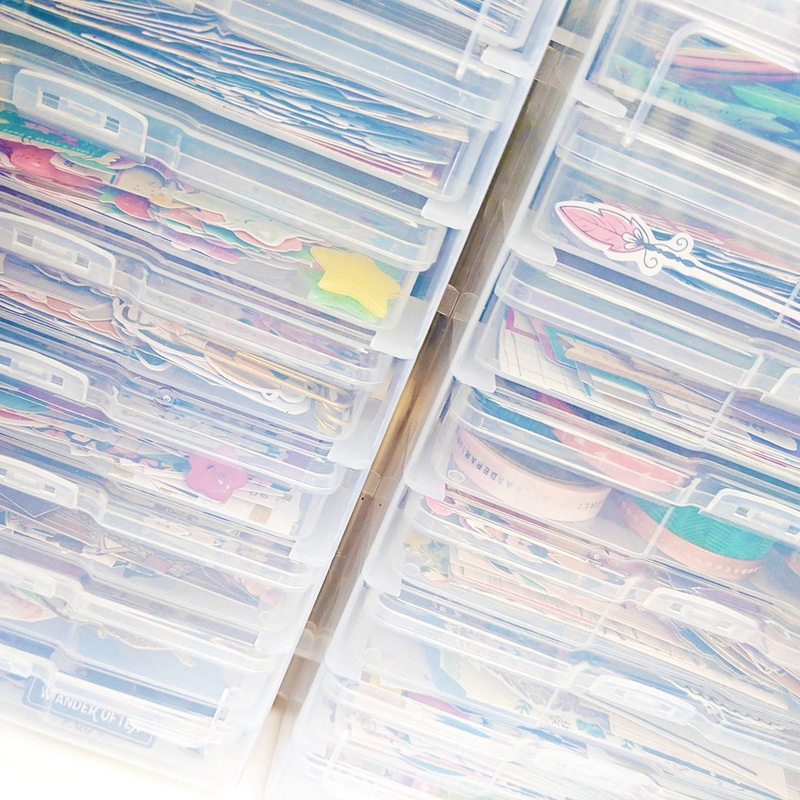 Now they're organized and sorted by subject and whenever I need a photo for a layout I can find it in this sturdy box. With a label maker or Sharpie I can add a caption on each box so I can find photos even quicker. There is also a 5x7" version which would hold larger 5x7" photos or larger scrapbooking embellishments called the Clear Craft Storage Boxes 5x7 - 7 Piece Set. 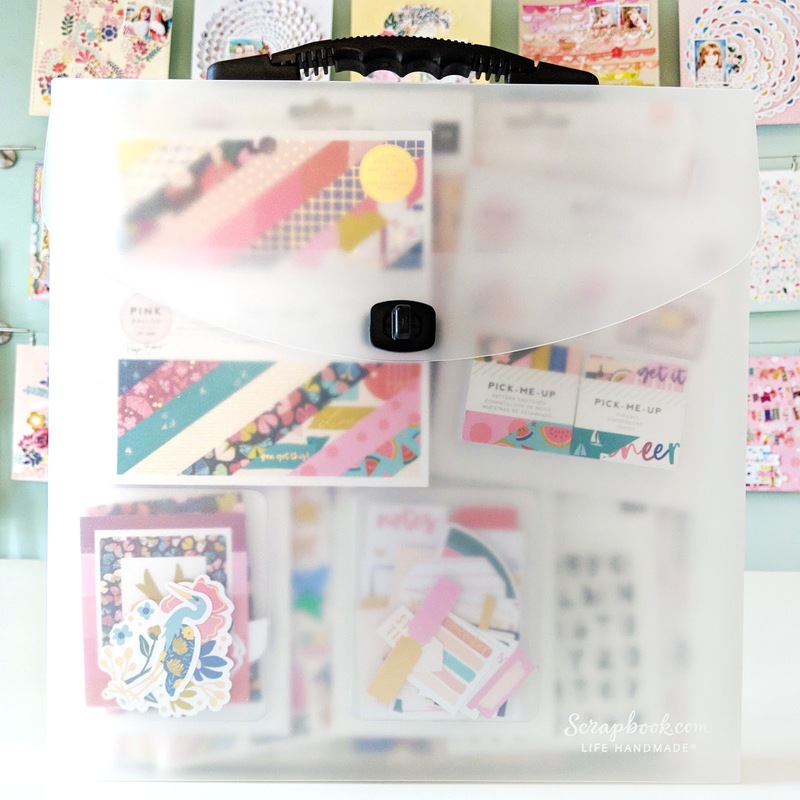 Last but certainly not least, the Portable Clear Craft Storage Tote! These are simply awesome. No more ziplock baggies! 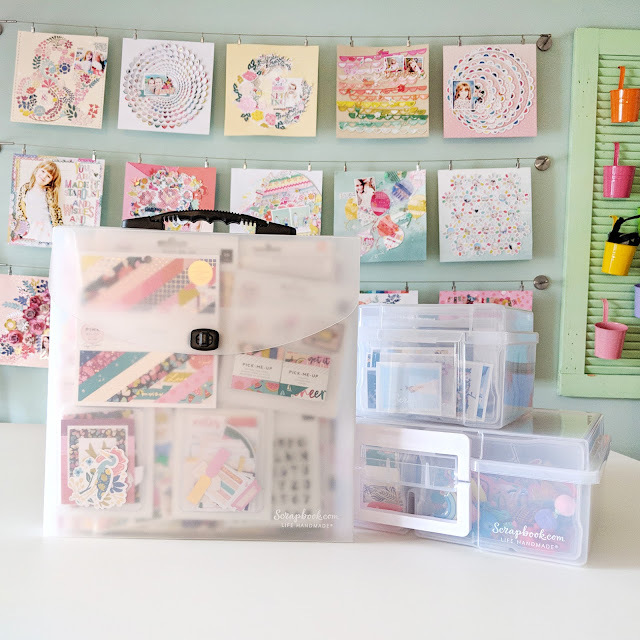 Now my scrapbook collections can be stored in durable and sturdy totes that fit entire collections easily and have a handle for carrying to and from crops or perhaps the kitchen table or office desk, wherever you may scrap. I'm putting Pick-Me-Up in this first tote and will order more for Turn the Page, Oh My Heart, Take Me Away, and Fancy Free! Yay for getting more organized! Thank you scrapbook.com for making easy and affordable storage solutions! I am the same way ... have to be organized to create! LOL!!! And I do the ziploc bags too for my papers!! LOL!!! LOVING these storage solutions!!!! Those totes are PERFECTION!!!!!!!! !